This California silhouette vinyl wall decal depicts The Golden State with a heart in the capital city of Sacramento. 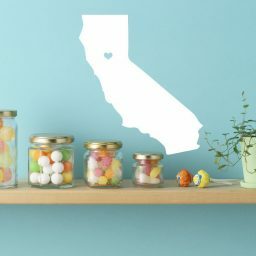 Use this California-themed home decor piece in your kitchen, living room, or bedroom, or give it to a friend or relative who is from California, lives in California, or has other connections to the state. 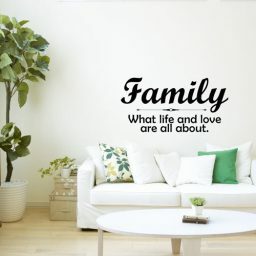 Choose your wall decal design from among a couple dozen different color options and several different size options ranging from small to medium to very large. 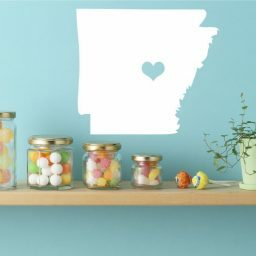 We’ll make your new home decor piece and ship it out to you within one business day. What do you know about California? 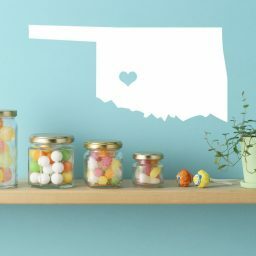 You’re probably aware that the state has the highest population among all the United States. Did you know that Sacramento is the capital city? 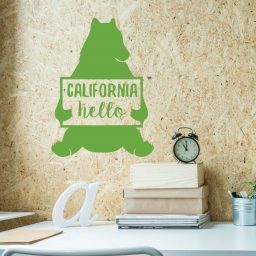 Well, with the help of this vinyl wall decal, at least you can quickly become familiar with California’s shape so that you can identify it on a map. This vinyl wall cutout is designed to educate children and adults about the shape of the state of California. 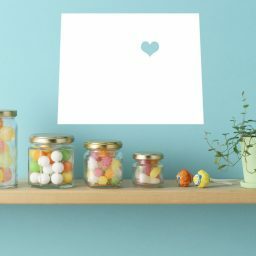 åÊPlace this design in a playroom or in a classroom for consisent exposure. åÊThis silhouette of California is approximately 21 inches wide by 15 inches tall. åÊIt includes the name of the state below the map. Purchase this map by itself if you’re only interested in California, or purchase some of our other United States maps to learn about more parts of the country. This product normally ships in one day. åÊIf you need a vinyl contour of California in a larger or smaller size, please contact us so that we can customize your order for you.